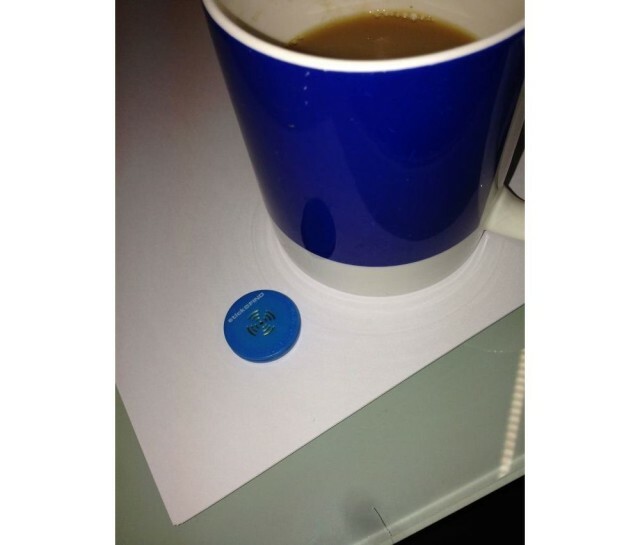 An iBeacon next to a cup of tea. You know how you walk into a coffee shop or bar, order a refreshing beverage and then grab a newspaper or magazine to read? Now, thanks to Apple’s iBeacons, you can do the exact same thing, only you can peruse the provided periodicals on your iPad or iPhone. London-based Exact Editions is a location-based provider of magazine apps, and now lets businesses install little Bluetooth iBeacon buttons that tell arriving iOS 7 devices that they’re there. iPhone and iPad-owning visitors can will then be able to browse the business’ offer of publication for free. The only catch is that they’ll need to download an app to read them, but it’s a free app at least. The benefits are pretty clear. We get to read cool magazines we wouldn’t normally bother with (movie mags on art cinemas, health mags in the dentist’s waiting room); publishers get promotion to an extremely targeted and focussed audience, and the businesses involved get a leg up on rivals who only offer stupid paper editions. Plus, you’ll never have to wait for somebody else to finish with the Sunday Supplement you want to read. I only hope that my local sushi restaurant back in Barcelona starts using this, and that it makes available the trashy Cuore magazine love reading when I’m waiting on my takeaway order.